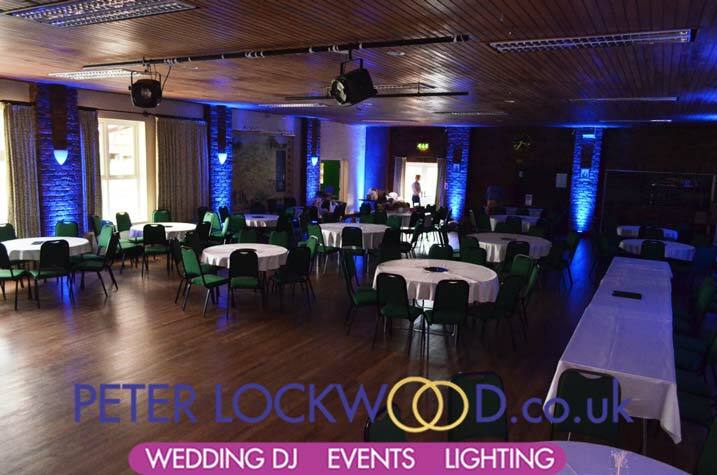 Antrobus Village Hall UpLighting hire fully fitted and removed after the event. 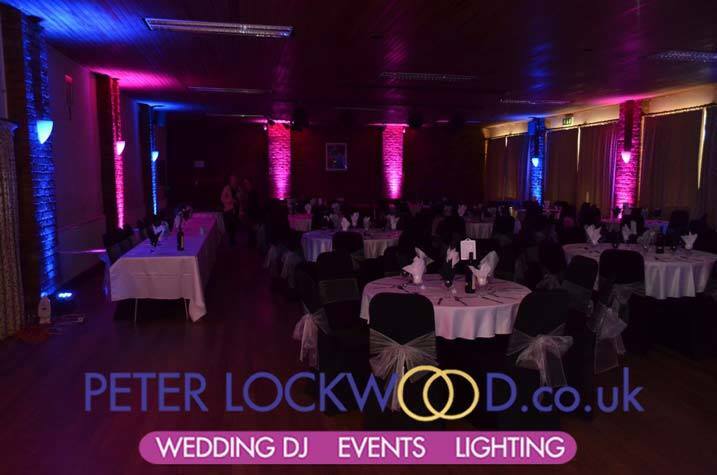 I have provided my wedding uplighting service a few times in Antrobus Village Hall. It has a great local community feel to it, as lots of the locals help out in the running and up keep of the building. 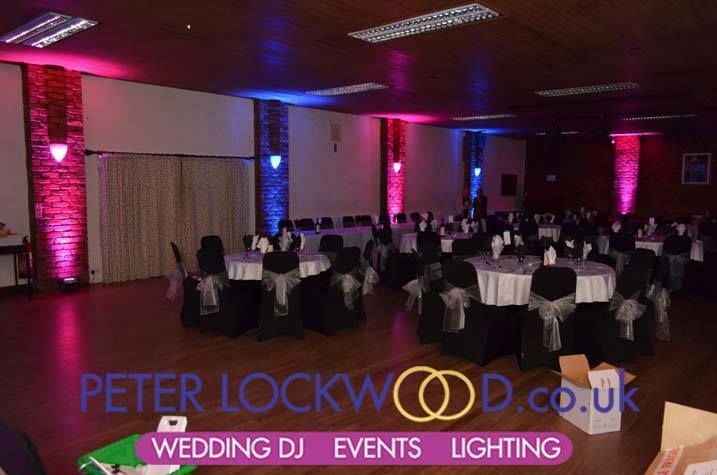 Our uplighting service is a fully fitted service we also pul our after your wedding in the evening or early sunday morning. We can also provide festoon lighting great for a summer wedding. 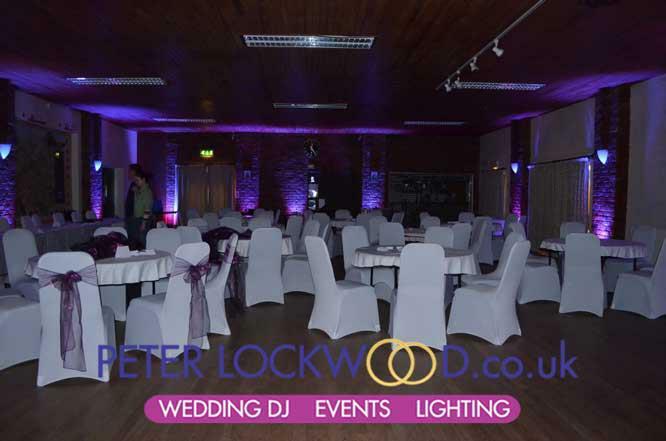 The first set of pictures are showing my purple wedding lighting in Antrobus Village Hall. 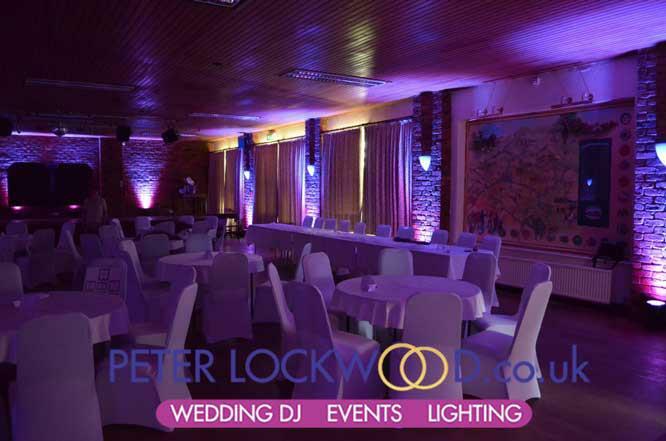 The next two pictures show pink and purple wedding lighting in the Village Hall. Blue wedding lighting was selected in the two pictures below, the pictures was taken during setup in the day light. 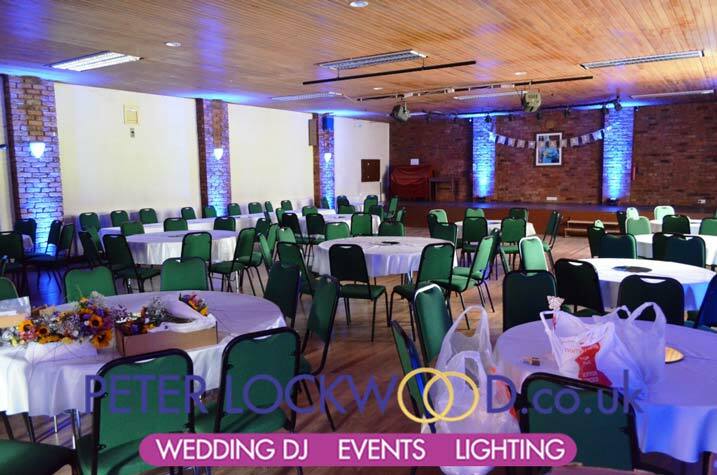 The fee for Up Lighting fully fitted and removed after the event is £325. Not a lot to pay for totally transforming the Village Hall.